If you'd like to check out more, here's the TDR official website for it... HERE. Here's a Japanese commercial for it that's playing on television right now... HERE. Someone shot a video while walking around the TDS park showing you some of the sights and atmosphere you'd find... HERE. This is an example of the stage show that goes on in the Mediterranean Harbor, but the video doesn't do seeing it live... HERE. I also wish to add if you want to know even more about the Tokyo Disney Resort then check out Joe's Joe In Japan website(appropriate name, don't you think?). Here are his Spring Carnival links... HERE and HERE and his YouTube channel HERE. Cool update Honor. 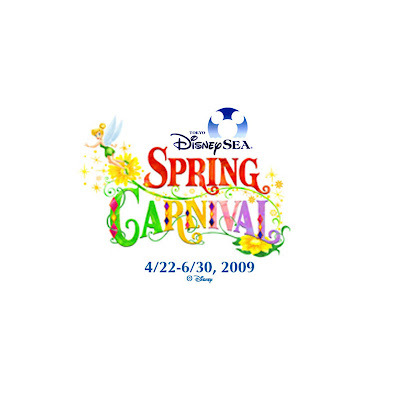 I have pictures of the festivities on my site as well: http://www.jtcent.com/disneysea/special/spxsp9/index.html and video available on YouTube of the "Fairies Primavera" show: http://www.youtube.com/watch?v=q4oRQ9NllPM Enjoy!